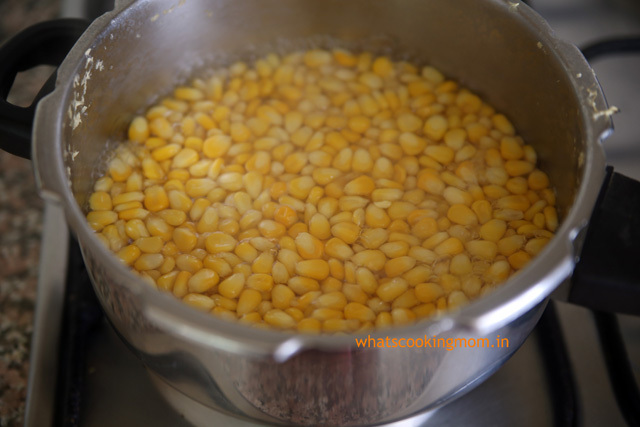 I always make masala corn for kid’s parties as it is all kids favorite. 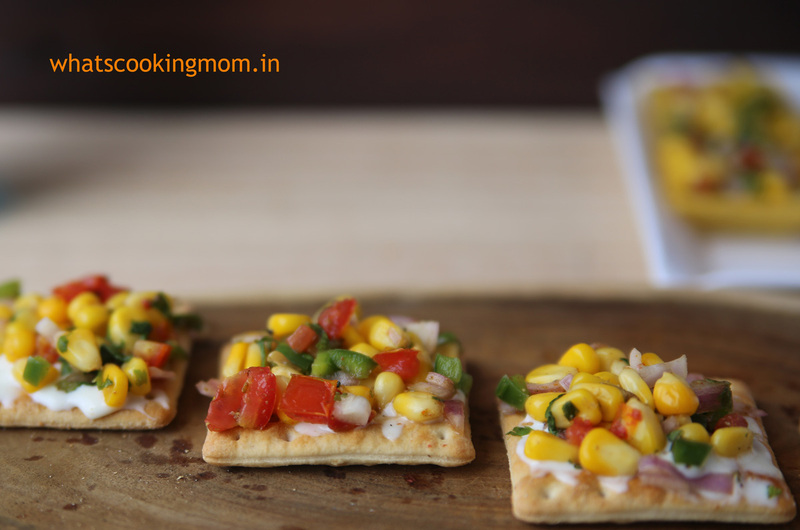 Whether you want to have light Sunday dinner, some unexpected guests arrive or kids want some filling healthy snack these sweet corns always come handy. 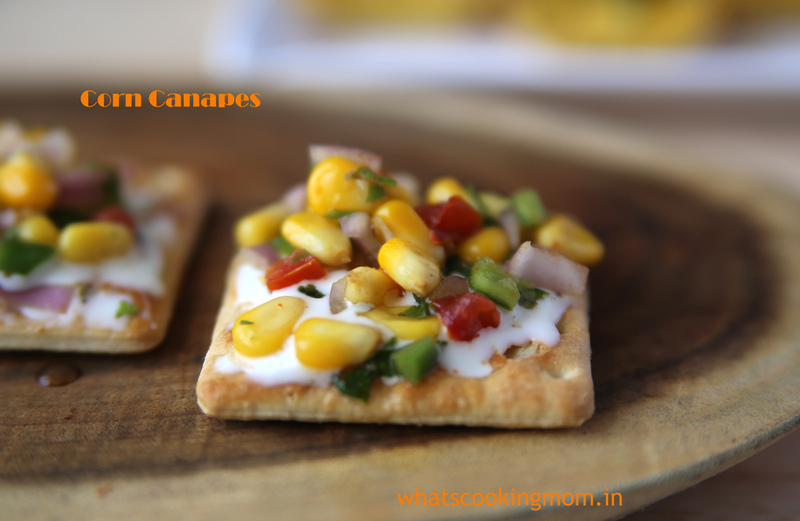 Canapés is another of my family’s favorite snack or appetizer. 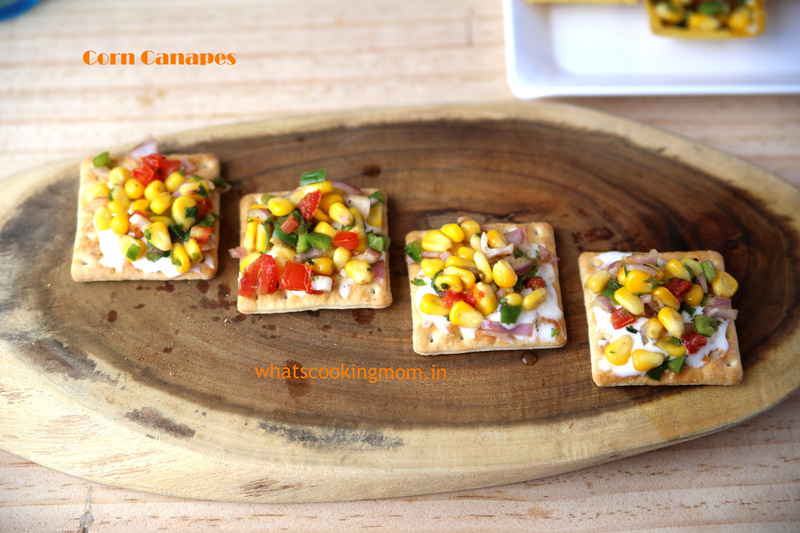 I generally use Brittania crackers for making canapés but this time, I used some store bought canapés base also. 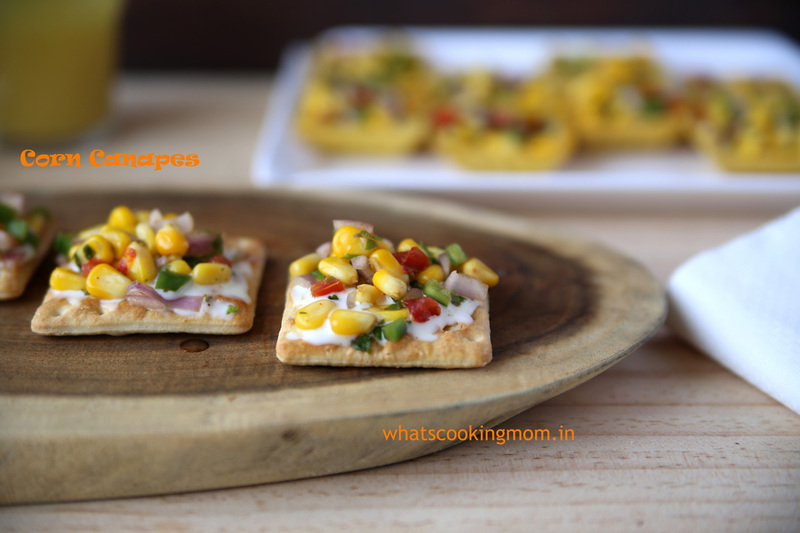 My kids loved both but Canapes made with crackers earned more points. 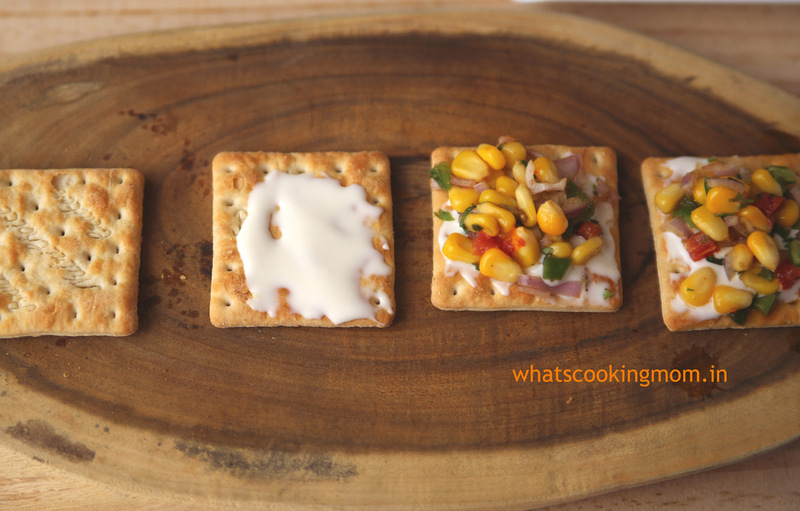 So next time onwards I am going to use crackers only. 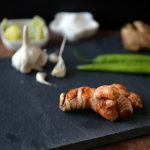 This is the best appetizer recipe to serve a large group as you can have everything ready in advance and you can assemble them just before serving which hardly takes any time. In fact, preparing the filling in advance allows all the flavors to blend in nicely. There are so many varieties that you can make. 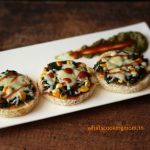 My Pineapple salsa canapés are loved by both my kids a lot. 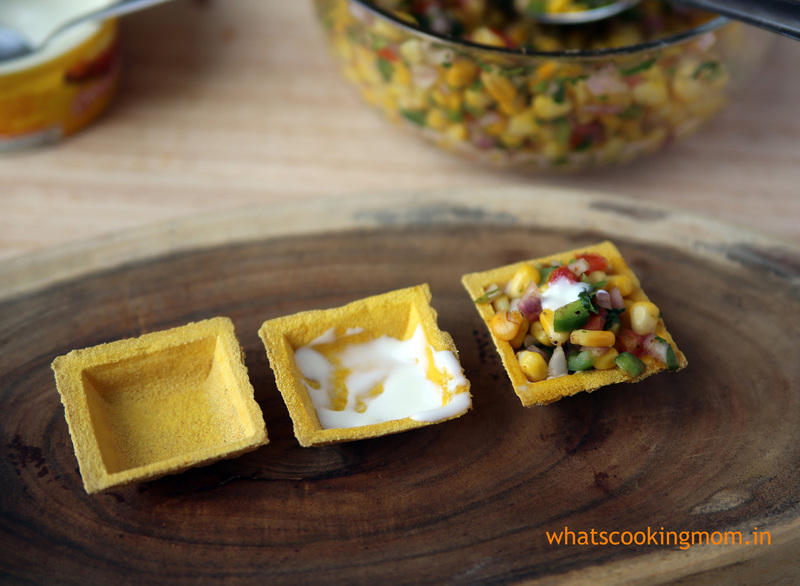 Then you can prepare mango salsa canapés, potato chaat canapés or with cucumber salsa. 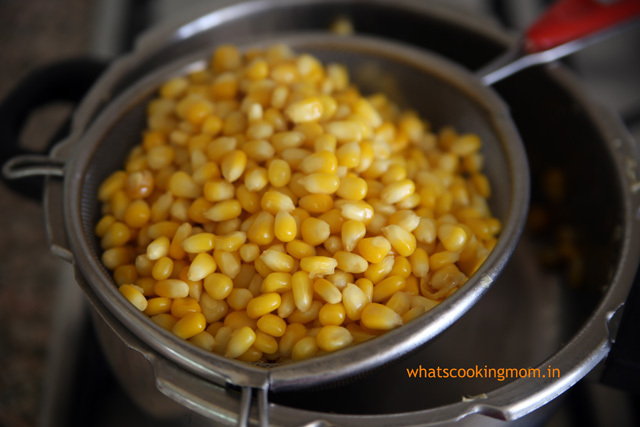 Wash and boil the corn for 10 minutes in enough water. Or you can give them a whistle in pressure cooker. Add all the chopped vegetables and spices in a bowl. Add boiled corn to it. 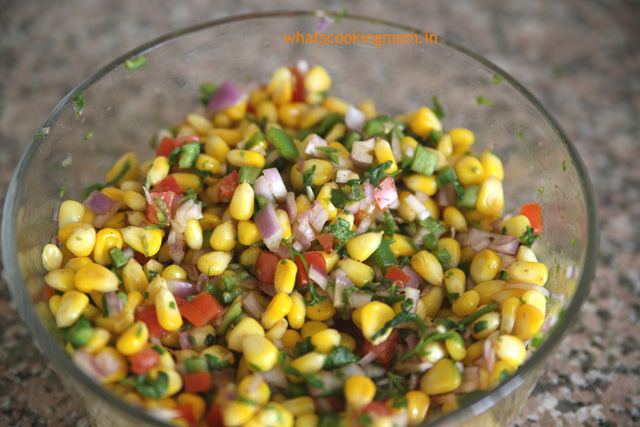 Taste the corn chaat and adjust the spices according to your taste. 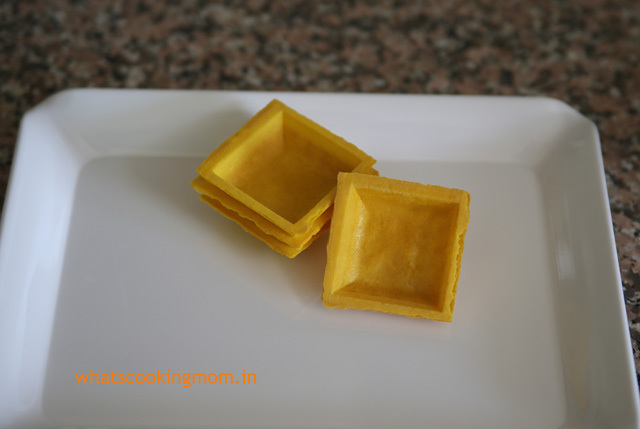 If you are using store bought canapés fry/bake them according to directions on their box. 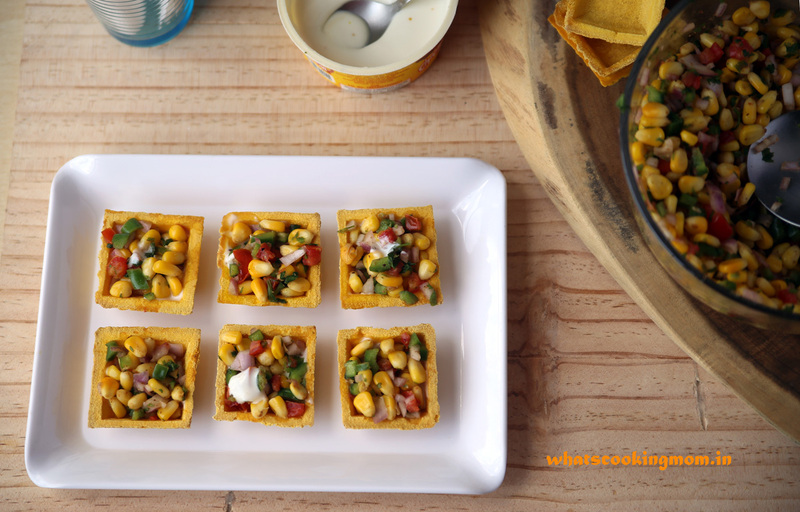 Just before serving, apply a layer of cheese spread and a spoon of prepared corn chaat on canapes. I generally use these Brittania crackers to make canapés. 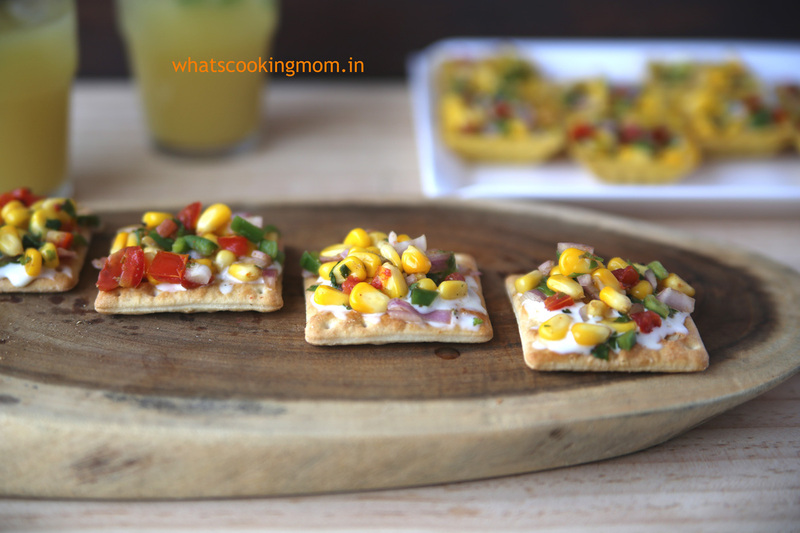 Just spread some cheese spread followed by corn chaat and your appetizer is ready to serve. 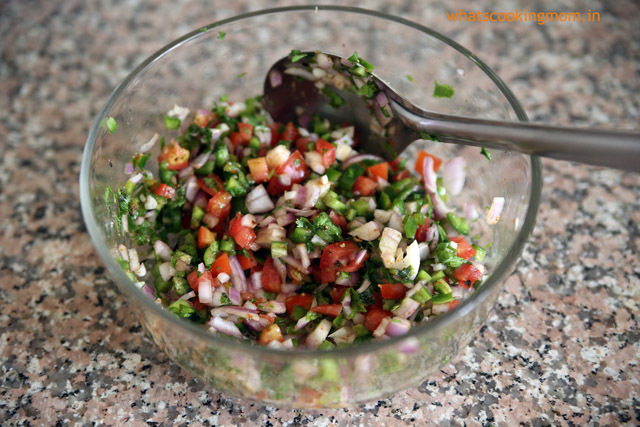 Really delicious, healthy and quick appetizer to serve. Hello Blanche. I use Amul cheese spread. You said it right, my daughter loves corn a lot, I will definitely try these. B/w can you suggest anything other than biscuits for this recipes. Canapes aren’t available either here. Hi sangeeta. you can try on toast also. 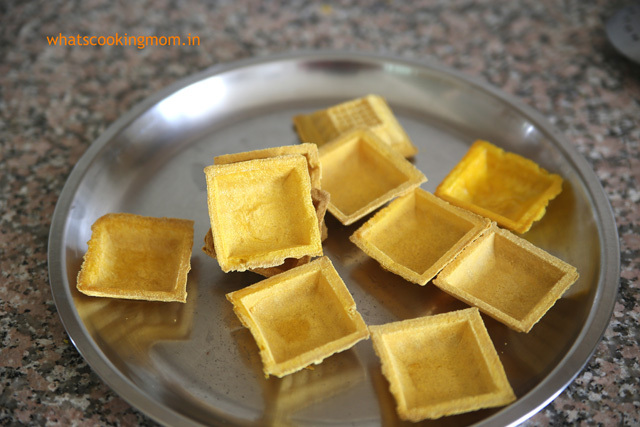 Toast bread slices and cut small pieces (round or square). Spread cheese spread and filling. 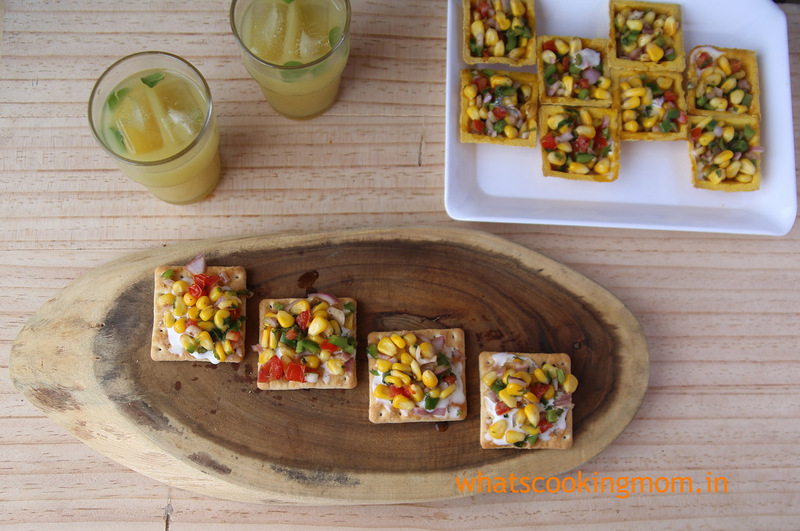 The corn canapés look so pretty and inviting. It will be a big hit with kids and at parties. Very nice.